The wrapper is on the lighter side of medium brown and has a network of fine, slightly raised veins. The seams are barely visible and the head is finished off with a well applied triple cap. There are two bands with the first being the traditional company band and the secondary denoting it being a Limited Edition and is in the same color combination of the primary. 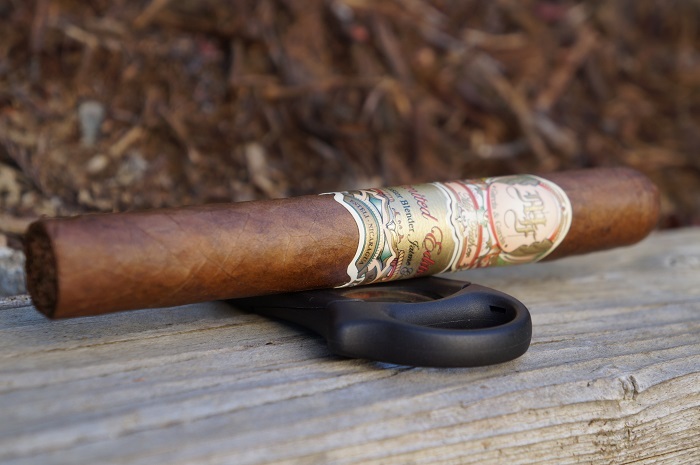 The aroma from the wrapper is a mix of leather and wood while the foot brings more wood along with some natural tobacco sweetness. 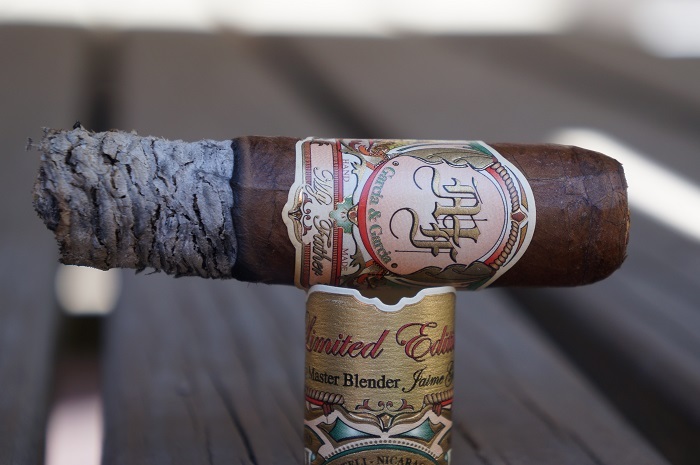 The pre-light draw brings a nice natural tobacco sweetness along with some wood. There is also a mild spicy tingle on my lips. The cigar begins with a very large dose of black pepper which only allows me to detect a faint amount of wood in the background. At a quarter inch in, the pepper settles down quite a bit allowing the wood to come even with it. At a half inch in, some cream joins the wood and black pepper. The retrohale has a black pepper kick with some wood in the background. At an inch and a half, the wood takes the lead while the pepper is in the background and the cream is very faint. As the third comes to a close, the cream picks back up to be slightly behind the wood while the pepper is faint in the background. The retrohale carries this same profile. The strength in this third started medium-full, but quickly settled in at medium. As the second third begins, a little char joins the wood as the cream and black pepper are very faint in the background. At a half inch in, some cream is hanging on in the background as the pepper has completely left the profile. At an inch and a half, the profile is continuing on with the charred wood and slight amount of cream. The retrohale is very much the same and fairly dry. As the third comes to a close, some bitterness joins in with the charred wood and causes the profile to become a bit drying. The strength in this third bumped up to slightly above medium. As the final third begins, the dry profile of charred and slightly bitter wood continues. At a half inch in, the bitterness picks up some more as some mintiness joins in with the charred wood. At an inch in, the bitterness settles down as the mintiness leaves the profile and the charred wood remains up front. 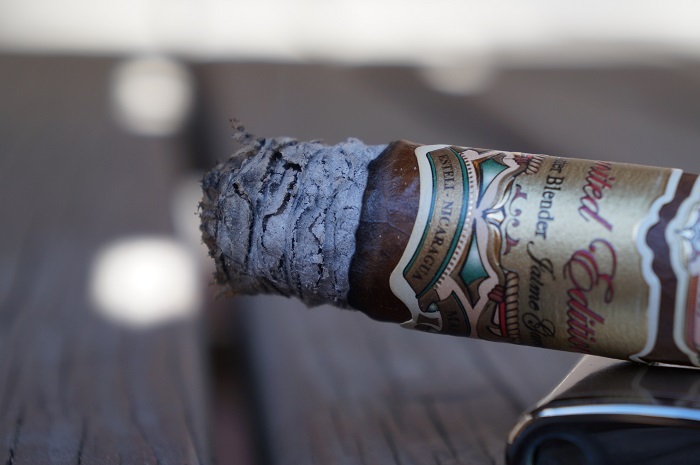 As the cigar comes to a close, the charred wood remains up front as some slight mintiness returns and the bitterness has departed. The strength in this third bumped up to medium-full. The burn was razor sharp the entire way. The ash held on in inch and a quarter increments. It’s always interesting revisiting a cigar with a number of years on it, seven in this case. 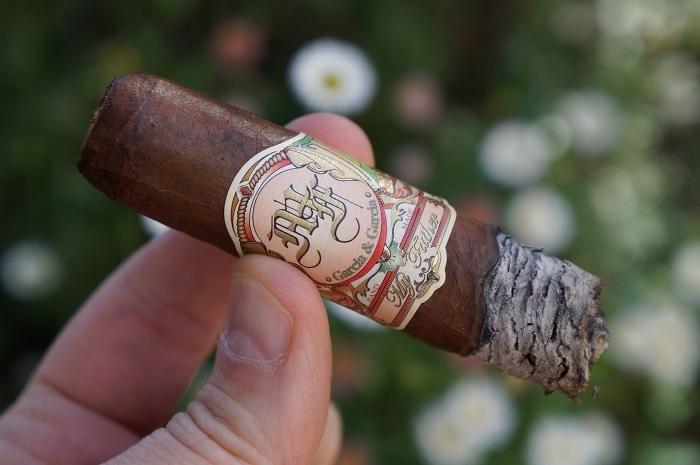 The cigar started with a potent black pepper which subsided quickly and then settled into a wood, cream and pepper profile. 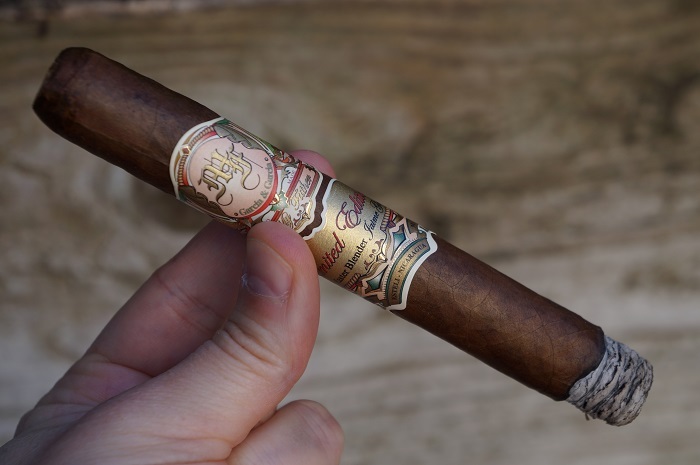 The cigar faded a bit going into the second third, but the strength built up as the cigar went along. 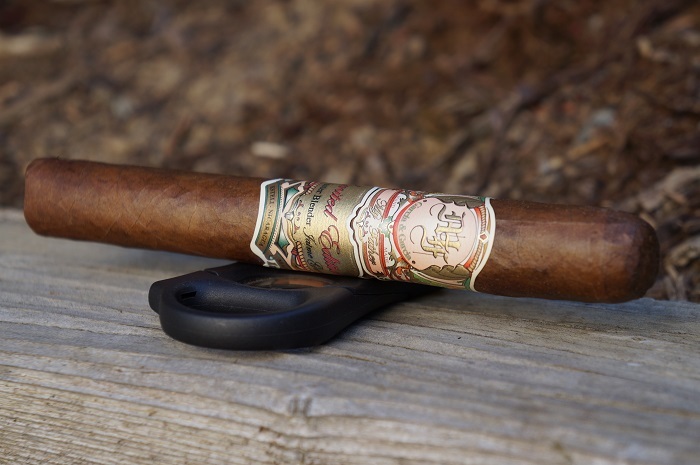 If you’re a fan of My Father, this cigar is one that continues to fit into the portfolio nicely. While it probably isn’t possible to find any more of these in shops, I’m sure some are still kicking around on the secondary market. It’s one I wouldn’t mind smoking again as I have a couple more sitting in the humidor.